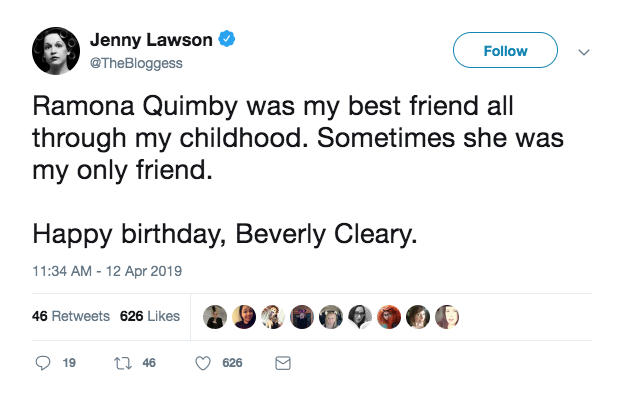 Famed children’s author Beverly Cleary turns 103 today and, yes, she’s still alive and well at her home in northern California. 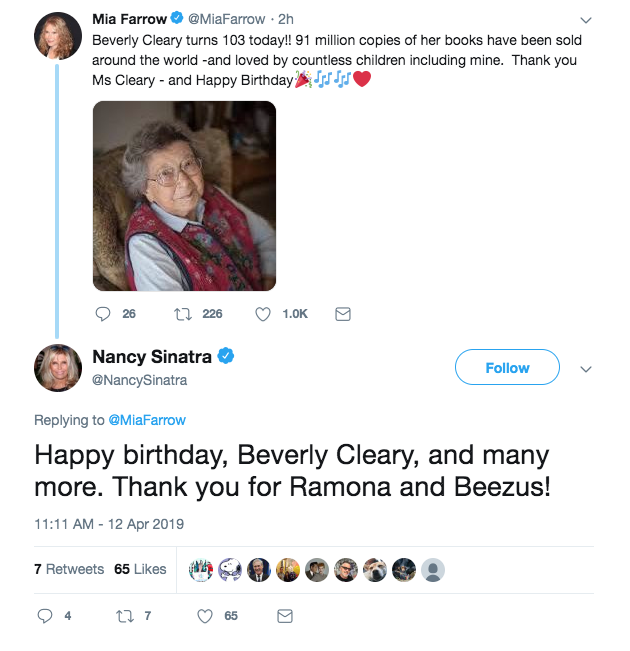 Evidently, though, the beloved American author — whose children’s novels about Ramona Quimby and her sister Beezuz, Henry Huggins and the diminutive furry favourite Ralph S. Mouse have sold more than 90 million copies since her first in 1950 — never expected to live this long. And a huge number of those children eventually grew up and took to social media today to send her birthday wishes. 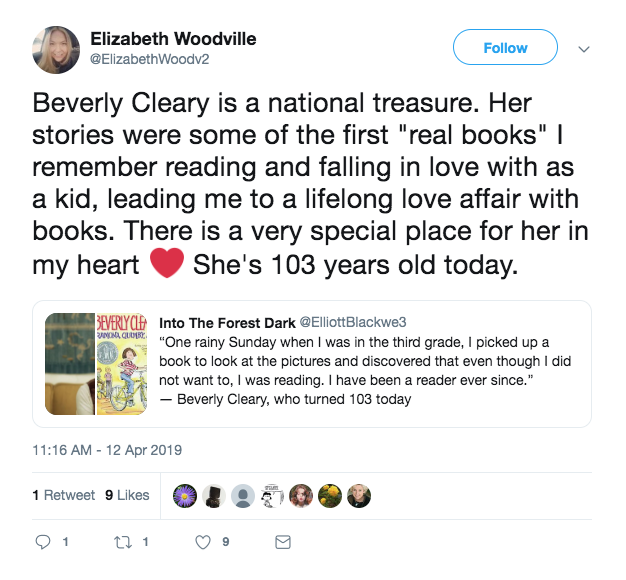 Cleary, who’s been awarded the National Medal of Arts, the Laura Ingalls Wilder Medal and was named a Library of Congress Living Legend while influencing countless other authors, including Judy Blume, lives in a retirement home in northern California. When she turned 100, the Washington Post recounted what a day in her life looks like. 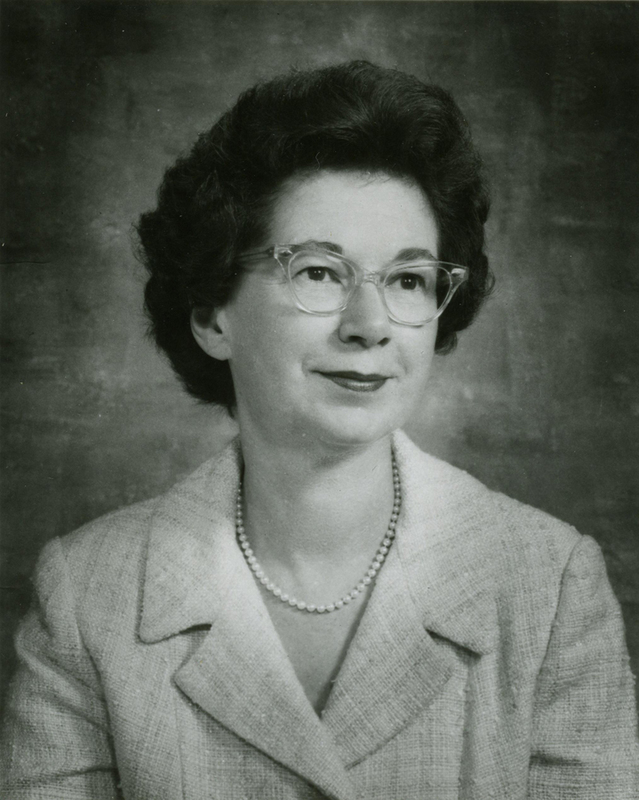 So happy 103rd birthday to Beverly Cleary! And if she ever gets the urge to write more letters, we know a few million or so fans who’d love to become pen pals with her!